On trying to better grasp the evolution and cyclical trends of the ‘fit’ of jeans, clearly identified in the more analytical Part 1 of this obsessive saga, I have chosen to proceed as follows. I have split the decades into culturally influential time periods, aptly defined as eras, which do not necessarily correlate with the decade spillovers. This is exhibited as follows. 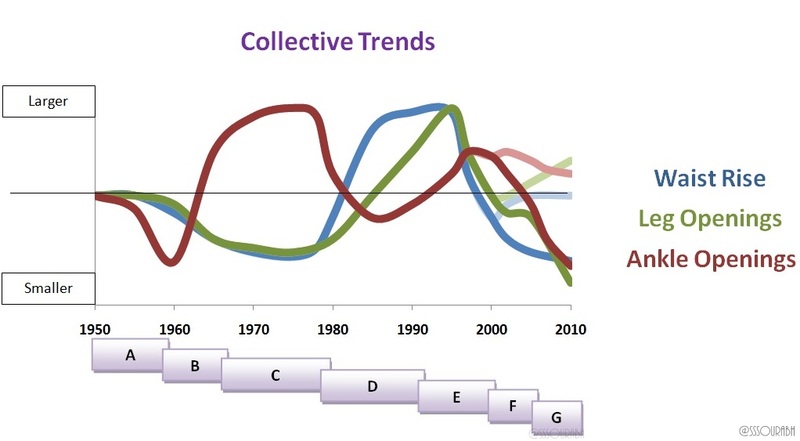 Bear in mind that the collective trend diagram is for visual purposes; the vertical axis is slightly skewed as it is conceptual, not numerical, which is done for simplicity (i.e. smaller in terms of rise indicates extremes lower than the average 30 cm/12 inch rise in denim jeans, as low as sometimes 2.5 cm / 1 inch; while large in terms of leg openings could be as high as 20 or 26 inches for wide leg jeans; etc. Nevertheless, the trends are readily apparent) . The last few years have been the most interesting, exhibiting not only the prominent trend is made popular by the millenials and fashionistas, but how an almost opposite trend lurks forward and prevails. Perhaps this is due to the fact that in these years, jeans have gotten smaller, lower, skinnier and overall require a more fit lifestyle and body, contrary to increasing obesity rates in many nations. The alternative trend (in a lighter shade in the figures) is perhaps in the mindsets of those seeking solace, comfort, alternative fashion, or are perhaps just a large chunk of late adapters. The likes of Marilyn Monroe left guys lusting with modestly slim jeans, whilst Elvis rocked the world with the dude’s version, as did James Dean, making it unisex at a time when gender fashion separation was quite prominent. The waist rise wasn’t given as much dominance, and the classic fit was at the waist, as it supposedly should be. At this point in time, jeans were not a fashionable item, but just a casual addition to a wardrobe, akin to its roots of being used for comfort during laborious work. The Beatles proceeded with the slim jeans trend, but the introduction of what our parents and grandparents call ‘hip hugger‘ jeans were a rage, popularized by rock icons, and were almost a precursor to the present day low rise trend. In retrospect, clearly this was the start of a rebellious and party centric trend that would eventually push the envelope in years to come, and bring jeans out of the casual closet and into the fashionable one. Interestingly, the newly positioned denim jeans were actually harder to get! In this era, the disco scene became popular as the hippie culture took over the entire world, which, contrary to the tail of fashion following, wanted to be more ‘Western’. ‘Hip huggers’ turned into low waist jeans, with wider and wider flares being christened as visually accurate ‘bell bottoms’. As is the case with any fashion fad, diversification is inevitable to occur, and the likes of elephant bell jeans also popped up, with flares so large they covered the shoes in entirety! Talk about tripping hazards. With the disco backlash, a derogatory term to something so culturally influential, flared bottoms reached an end as straighter jeans were demanded, in a modestly slim fit, thus marking a comeback of narrower ankles. However, baggy jeans came back in style with the hip hop and rap culture. These were also times of heightened global warming awareness, so perhaps people felt the need to breathe in their jeans. Waistlines also crept back up due to the more ‘straight leg’ feel (which I personally think is the least flattering of all fits). For practical purposes, including a rise in women joining the workforce, high waists and straight legs were in style, with baggy ruling the youthful boy’s nest. Designers jumped on the band wagon to capitalize on the increasingly popular goldmine of fashion. I call this era provocative since this marks a prominent rise in underwear exposition. If jeans were a fad on the framework of products, then this was the time when the low respect came into play, as jeans lost their fashionable and must-have position to other fabrics. Yet, a king never lies low for long, and the low rise ‘bumster’ jeans made a comeback, thus marking a repetition point in this cycle, as a successor to the earlier ‘hip hugger’. The credit belongs to designer Alexander McQueen who changed the face, or the derriere, of denim jeans. Initially these were paired with baggy jeans and made popular by the oddly popular concept of ‘sagging’, thus revealing men’s boxers and underwear (giving these a reason to become a raging trend of their own, for both men and women). Gradually, the jeans themselves began to slim down, too, particularly for women. The low rise was still a taboo, and restricted amongst the boldest of populations: the uber fashionable and extremely elite, or simply followers of Kate Moss’s strategic first move at Alexander McQueen’s show. This is when laws got liberal, and the world became more united as if saluting entering a new century together. This was indeed the case, as celebrations became viral with joy, worldwide were shared via emerging social media forms and are still recalled today. The feelings seemed to have reciprocated on the world’s most loved attire. The low rise jeans became more acceptable and less of a taboo, thanks to the acceptance of starry characters like Britney Spears. The next comeback, and thus a mark of cyclicality once again, was the widening ankles. Fashion enthusiasts thankfully glossed over the term ‘bell bottom’ replaced it with flared bottoms and the popularly called ‘boot cut jeans‘, thus lending to a visual image of being less dramatic than their bell bottom parent. The difference was the slimness of the fit at the leg and knee. Freedom and breathability was thus the main association with denim of this era. With the low rise style at its peak, the skinny, drainpipe style of jeans returned, marking a repeat in this element of the cycle too. This was to the critiqued dismay of populations worldwide, as it went beyond the slimness of the 80s and into a skin clinging skinny style, with the notion that its wearer had to fall into its size reference. The strange thing about the mid 2000s onwards has been the dual nature of fashion. Whilst it is apparent that trends are leaning towards lower, skinnier, slimmer, it is almost as if the bulk of the population is starting to feel discomforted by the aspirational aspect, and is clinging onto what we may call fashion of the yore. This explains why boot cut and moderately flared jeans have not disappearing entirely. High rise jeans, such as the Not Your Daughter’s Jeans brand, are also in style for their tummy tucking marketing to trendy baby boomer women. 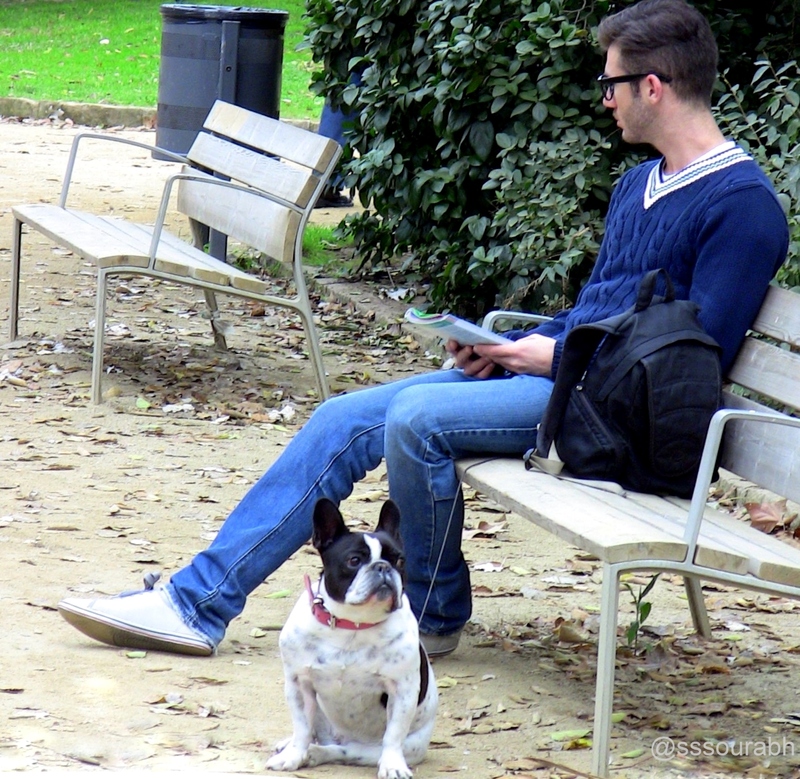 Men of hip cities, and particularly those of non-metropolitan areas, are completely averse to low rise and skinny fit, explaining their lack of adaption to the new styles of denim. The point was emphasized by Dockers’ sexist advertisement which blatantly mocked the skinny jeans trend for men, albeit its archaic undertones probably encouraged a higher trial rate! The most apparent finding here is the cyclicality of the trends, and how the three main fit elements, namely waist, leg and ankle, always recombine to form the next trend. The cycles of all three do not necessarily correlate, else things would be too predictable. The low rise trend of Period B made a comeback in Periods F and G.
The slim leg trend of Period C made a comeback in Period G.
The skinny ankle of Period B made a quick comeback in Period D, and a more prominent one in Period G.
Jeans trends seem to return every 3 to 4 of my defined eras. So, the upcoming fashions may not be too difficult to foresee (albeit trends like diversification, along with the importance of fabric type, embellishments, etc., can cause significant differentiation; these require yet another insightful exploration!). Naturally one may wish to anticipate what is next in terms of ‘fit’, obviously without ignoring the possibility of diversifying the current ‘fit’ elements via garnishing jeans with embellishments, destroying them via various strategic techniques, etc. The unveiled trends give prominent hints that the duality will continue, at least for some time, despite Kate Moss’s influential prowess in sporting the high rise jean, marking an end to the popular and beloved (personal votes here, too) low rise. Ironically, she modeled Alexander McQueen’s ‘bumster’ jeans too, so things indeed do come into a complete cycle. So, here is some basic yet strategic advice for both consumers and designers. As a consumer, one must invest in both flared, lose and high waist denim, alongside low slung skinny jeans. Both are likely to remain for a while, but the more extreme a trend gets, the less it is lauded in the long run, and the more repulsive it looks in retrospect. The indication hear is of the way we laugh at bell bottoms, or laugh at whale tails. This does not mean that people should look identical, like packs of cards; individuality should and always will be praised, and one should not shy away from displaying a quirky or crazed streak. But with few likes, limited closet space and few resources and options at hand, invest smartly, as you would in stocks. As a designer, the waters turn murkier. A designer must first look to see what their designs are relaying: comfort or fashion, or the tiptoe friendly bridge joining both. Also, one must check to see who the target market is: those following trends to the tee, or the late adapters of the cycle. Bearing these elements in mind, designers should go for either the risky niche jeans strategy for the fashionable and conscious, or the universally embracive denim for the evergreen comfort huggers. Again, this depends on their positioning, appetite for risk and differentiation, and forward thinking strategy. 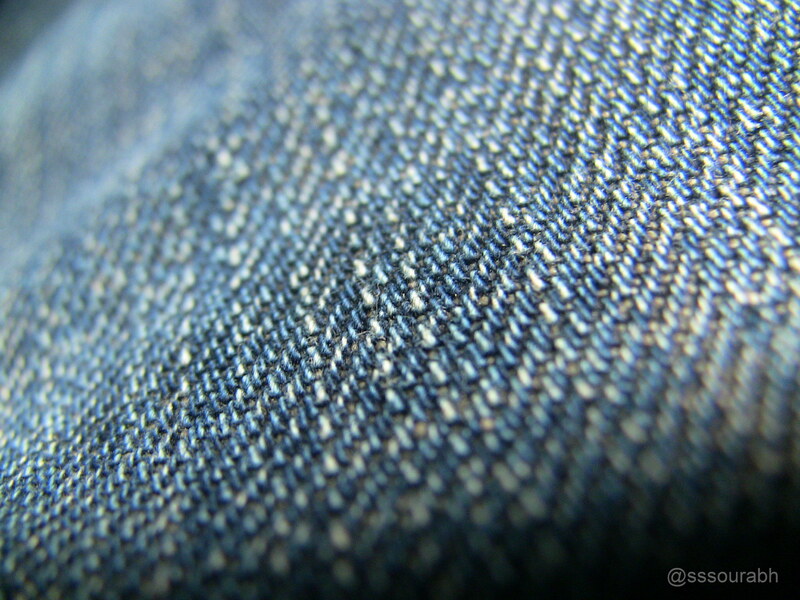 At the end of the day, nothing is predictable, but seeking trends in the most random aspects of the past is a rewarding exercise, particularly if it indicates that some things will remain around forever… like jeans! Dude I love this!!! trendwatchers are the best.. tho there may be a differene between the catchup time for guys than for girls. Post it! !